Join us for a debate at the Hofstra University Club. 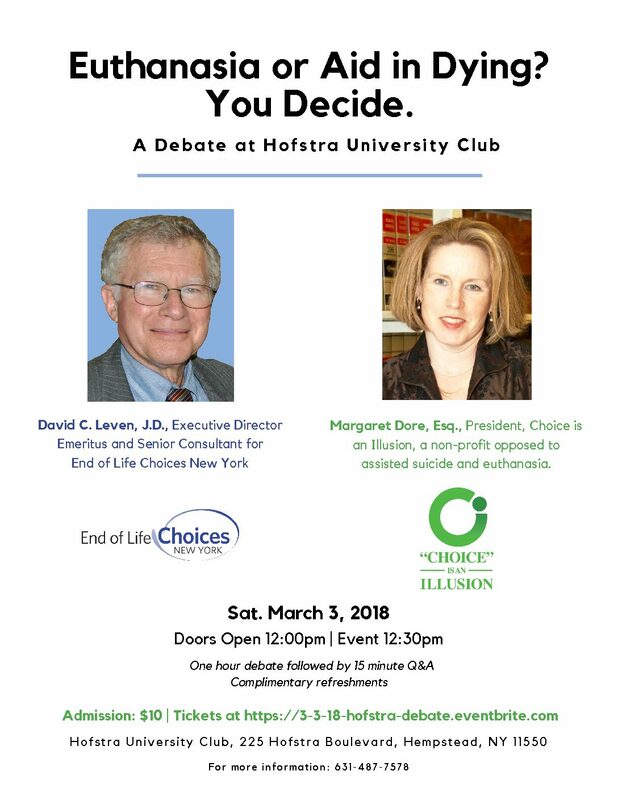 David C. Leven, J.D., Executive Director Emeritus of End of Life Choices of New York, will debate Margaret Dore, Esq., President of Choice is an Illusion, on one of the most controversial topics of our day. Tickets are $10, click here to purchase your tickets. Doors will open at 12 noon. The debate will begin promptly at 12:30pm. Complimentary refreshments will be available.